Agio Cigars, a company with over 100 years of history and a presence in just as many countries, produces worldwide known brands such as Mehari’s, Panter, and Balmoral. In February of 2014, Drew Estate Tobacco Company entered into an agreement with Agio Cigars for the distribution of all Agio brands in the U.S.A.. Additional detail on the agreement can be found in the press release HERE. Agio Cigars is one of the leading cigar manufacturers in Europe, offering brands such as MEHARI’S, PANTER, BALMORAL and DE HUIFKAR. Every year, about 750 million cigars are produced and sold, primarily through the company’s own sales organisations in western and southern Europe. Agio also exports to over 100 countries worldwide and holds over 2000 employees. Founded in 1904, Royal Agio Cigars is still a family business and has grown to become a leading manufacturer of cigars, characterised by a consumer-oriented policy, advanced technology and a high standard of quality. The Balmoral Royal Selection Anejo 18 is the latest offering from Agio Cigars. 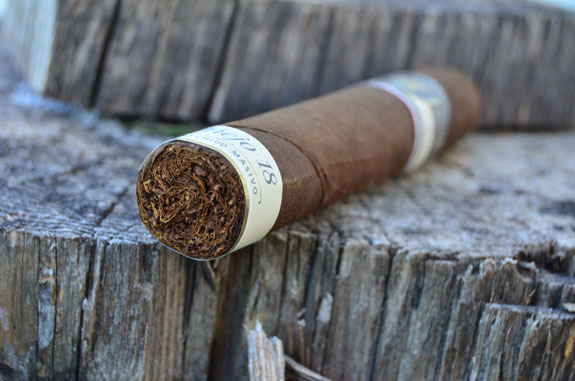 Produced in the Dominican Republic, the name is derived from the 18 year old Brazilian Arapiraca wrapper that covers Brazilian, Nicaraguan, and Dominican long-filler tobaccos. 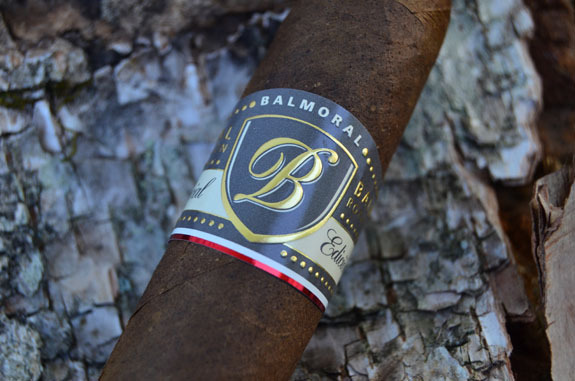 The Balmoral Royal Selection Anejo 18 is produced in limited quantities each year in only two vitolas: Rothchild Masivo (5 by 55) and Torpedo Mk52 (6 1/4 by 52). The Balmoral Royal Selection Anejo 18 is dressed in a medium brown Brazilian Arapiraca wrapper that has a greenish hue. 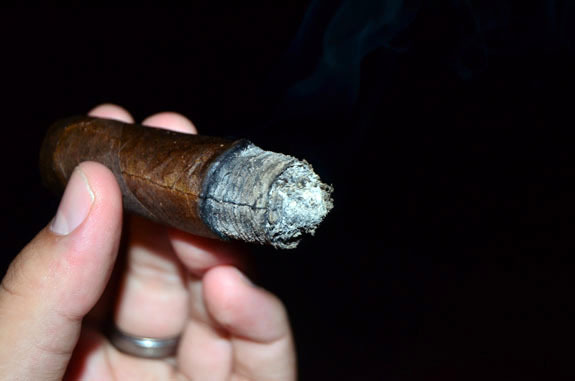 A couple medium sized veins run down the 5 inch stick but other than that the cigar is fairly smooth to the touch. This is probably one of the prettier Brazilian wrappers I have seen. The cigar is filled evenly and firmly. 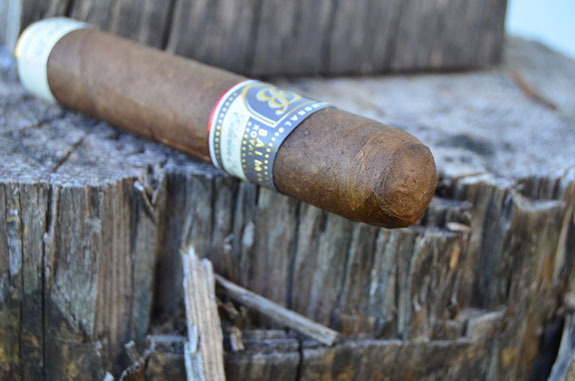 The wrapper aroma is light with notes of tobacco and wood, along with a faint pungency. There is not much more to be found on the foot other than some thicker cedar and barnyard aromas. The cap has been applied real clean and it is hard to see where the cap begins. Upon clipping the cap, a rich draw presents itself with cedar, cinnamon, and other exotic spices. The draw resistance is right on. After spending a decent amount of time evenly toasting the foot, the Balmoral Royal Selection Anejo 18 is underway. The flavors are mild to medium with some cedar and earthy notes along with a sour quality that makes me think of wet grass. The finish is a mixture of cedar and cocoa and is somewhat dry. At just over ten minutes, some development is taking places with the arrival of coffee in the profile and the sour quality is fading away. The Anejo 18 is burning evenly, forming a beautiful light grey ash. The only performance issue experienced thus far is the smoke production is lower than preferred. Making my way into the second third, dry cedar has moved to the front of the profile making me think of pencil shavings. The flavors are coming across much more balanced than early on, which I contribute to a newly found sweetness that is rounding out the profile. The flavors have stepped up into the medium arena and the added black pepper spice is giving it an extra kick. The coffee flavor that arrived late in the first third is holding strong. Coffee, earth, cedar, and pepper characterize the profile as I push an hour of smoking time. 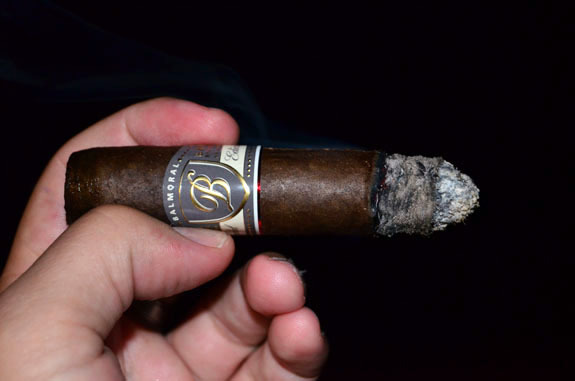 The flavors are much deeper and darker than the start of the cigar. In the last inch and half, the profile has become much more earthy. The smoke production has continued to increase in each third . With copious amounts of smoke now being produced, the flavors are presenting themselves much more full than earlier. I am feeling no nicotine as I close out the final third. The Balmoral Royal Selection Anejo 18 is a very unique and special cigar. The profile was intriguing in the first third with the sour grass notes, well balanced in the second third with the added sweetness and coffee, and completely satisfying in the final third with deep, dark, full flavors. There was never a dull moment with the Anejo 18 as it was continually introducing new flavors and building in intensity with the flavors, body, and strength. 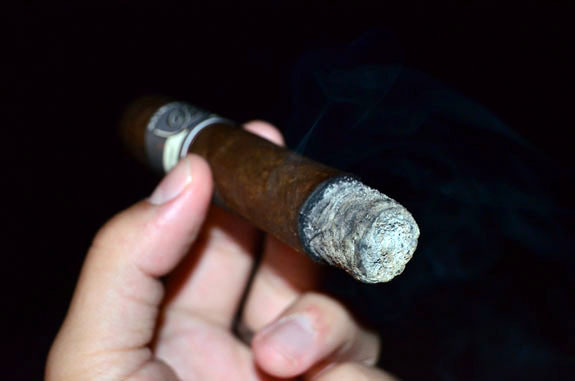 The cigar performed effortlessly with an even burn and solid ash. 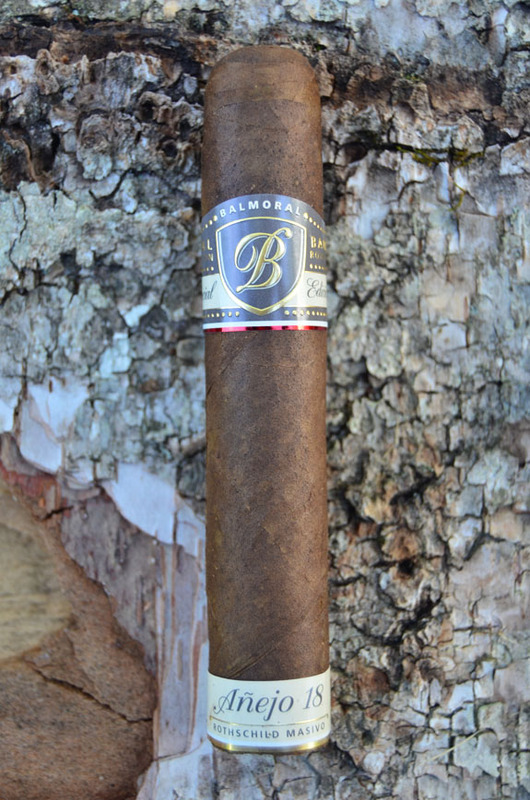 Agio Cigars has a great cigar on their hands with the Balmoral Royal Selection Anejo 18. Sounds like a great smoke, Jeremy. The problem I’m sure I’ll have (aside from the price) is finding them locally. I like the night pics. Did you use a flash?